Are you tired of using difficult to handle bulk bags to store leftover treated seed? 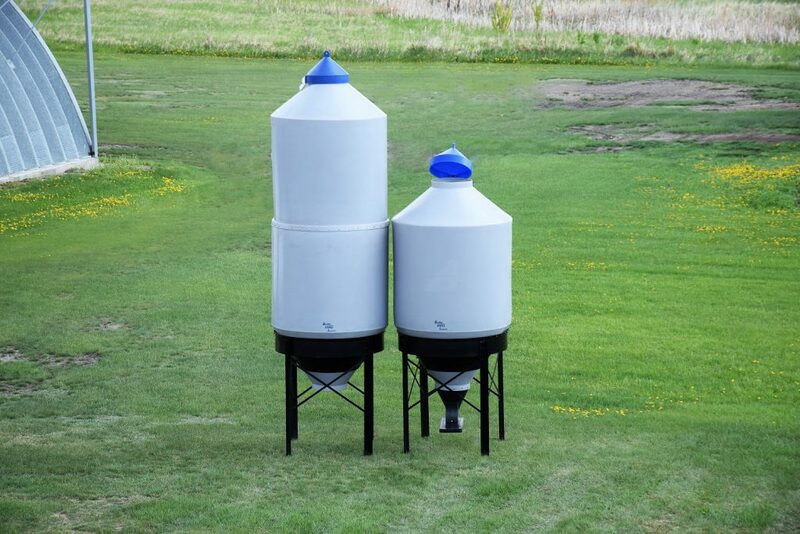 Are you in need of a feed bin for your livestock? 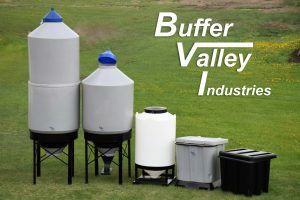 Buffer Valley Industries provides a solution with the stationary 100 and 150 bushel Hopper Bottom Bins. It’s a product built by farmers, for farmers, with its sturdy steel stand, high impact polyethylene plastic that is UV resistant, adjustable boot, and spring loaded lid.